The personalized radial head prosthesis is designed as a comprehensive solution for radial head fractures with precise replacement. 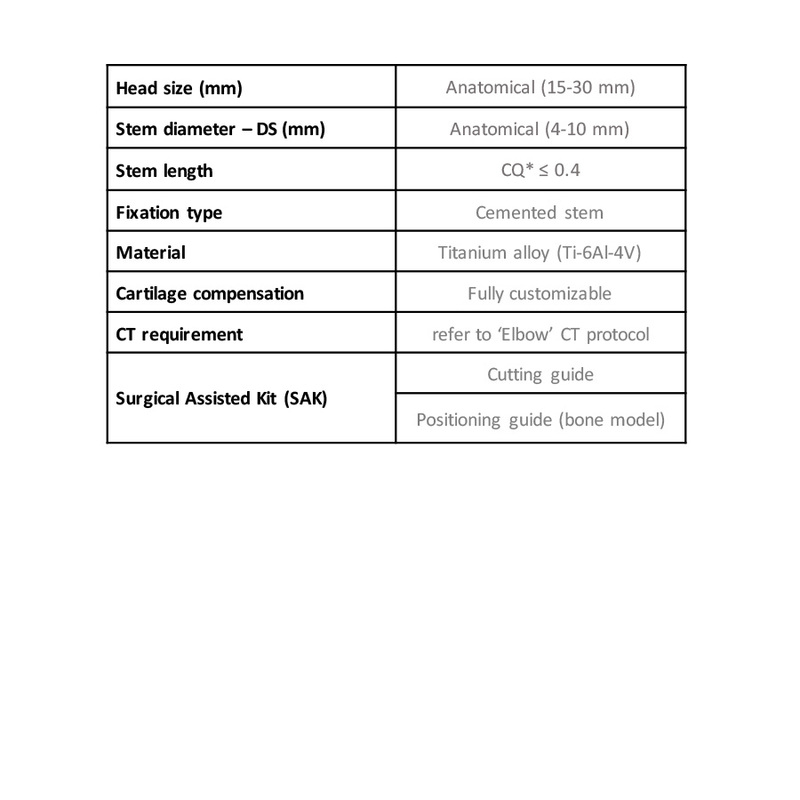 The monopolar titanium radial head prosthesis, which combines patient-specific head with smooth bullet-tip stem, provides good dimension accuracy and fitment to restore elbow’s range of motions and elbow stability. Using 3D mirroring of normal contralateral side of bone, each titanium radial head prosthesis is designed specially to match natural anatomic of individual bone. 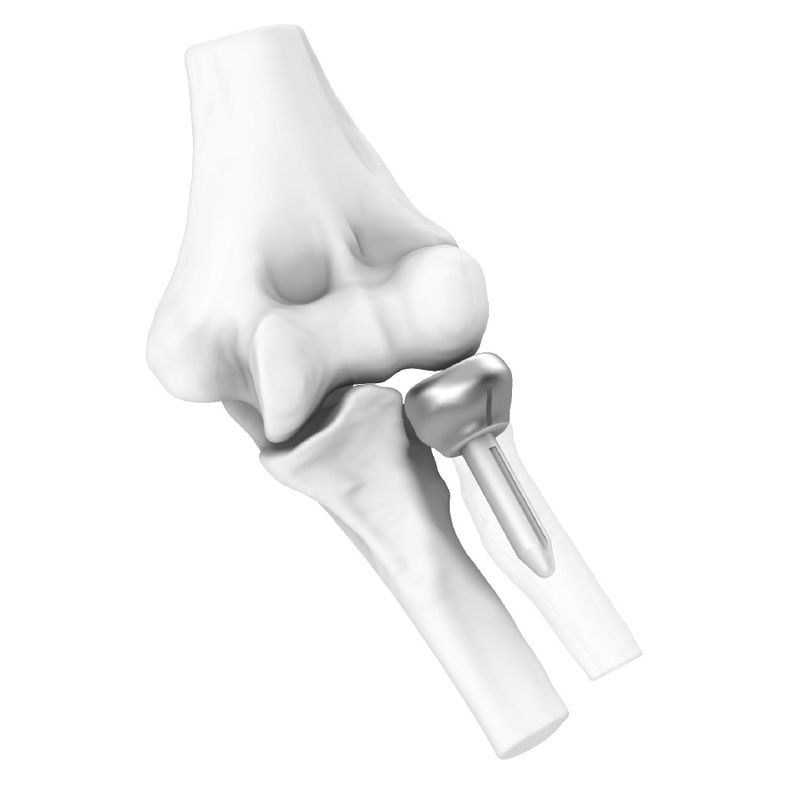 This allows perfect fitment with surrounding bones to restore complete range of elbow motions. 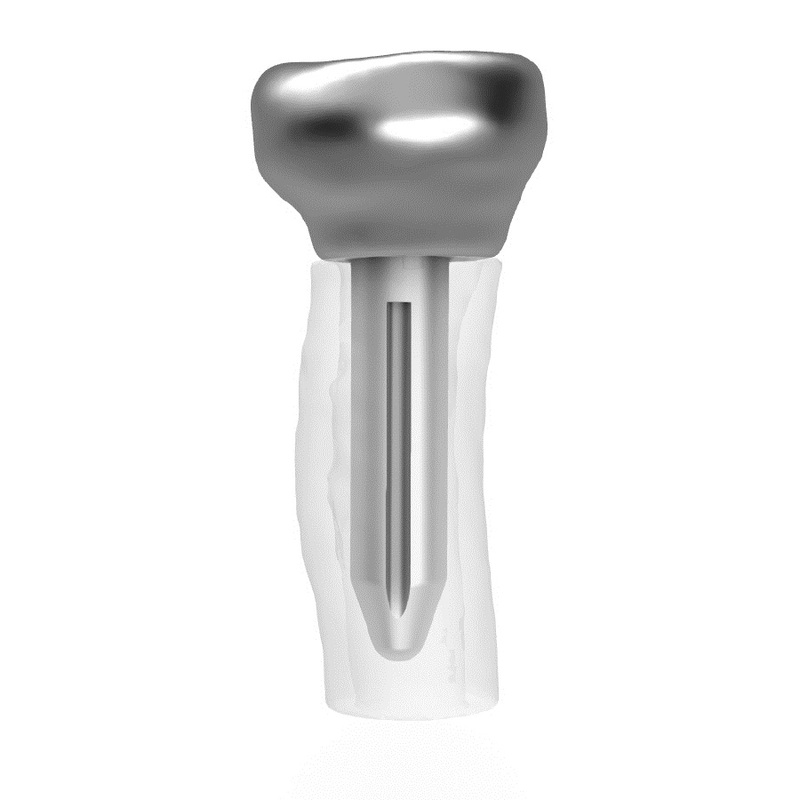 The stem is designed to be straight with bullet-tip to facilitate implantation process. 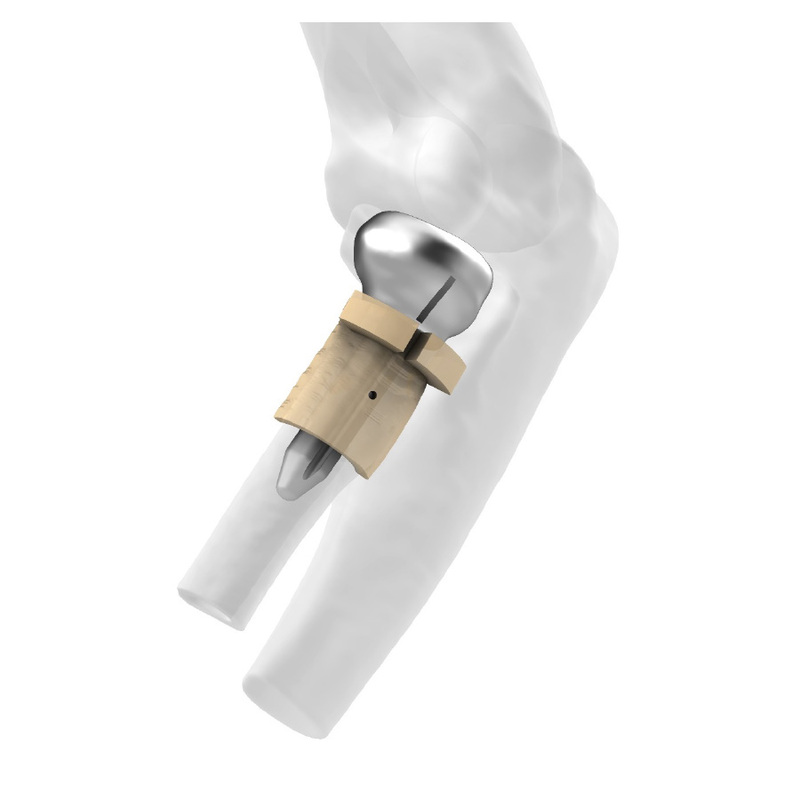 Fluted-stem design enhances rotational stability while monopolar design of the prosthesis improves elbow stability. Shiny and smooth titanium surface to maximize articulation. 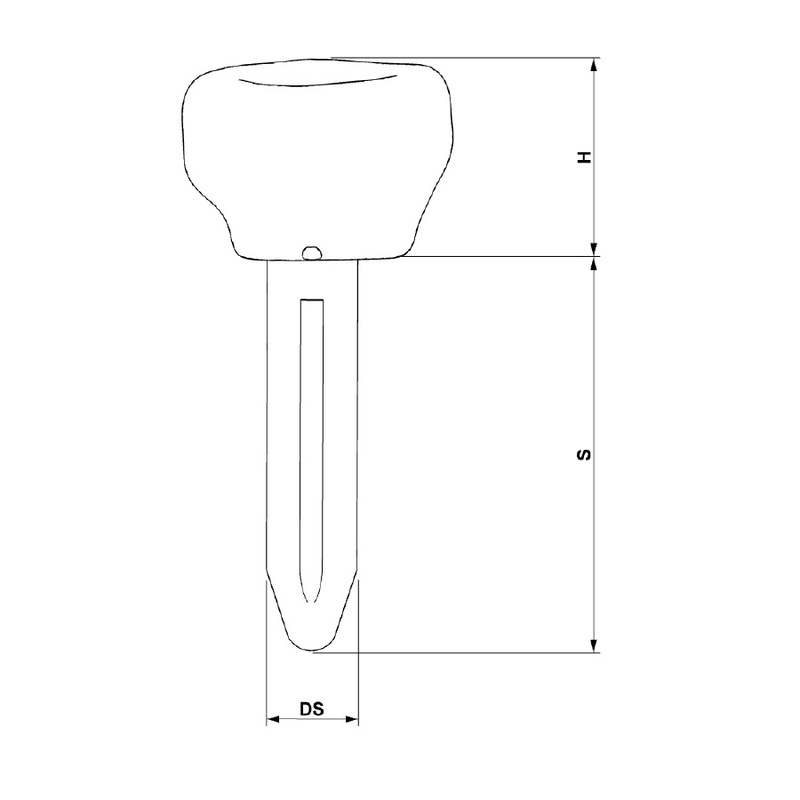 A reference mark on prosthesis head is designed to aid in proper alignment during implantation. 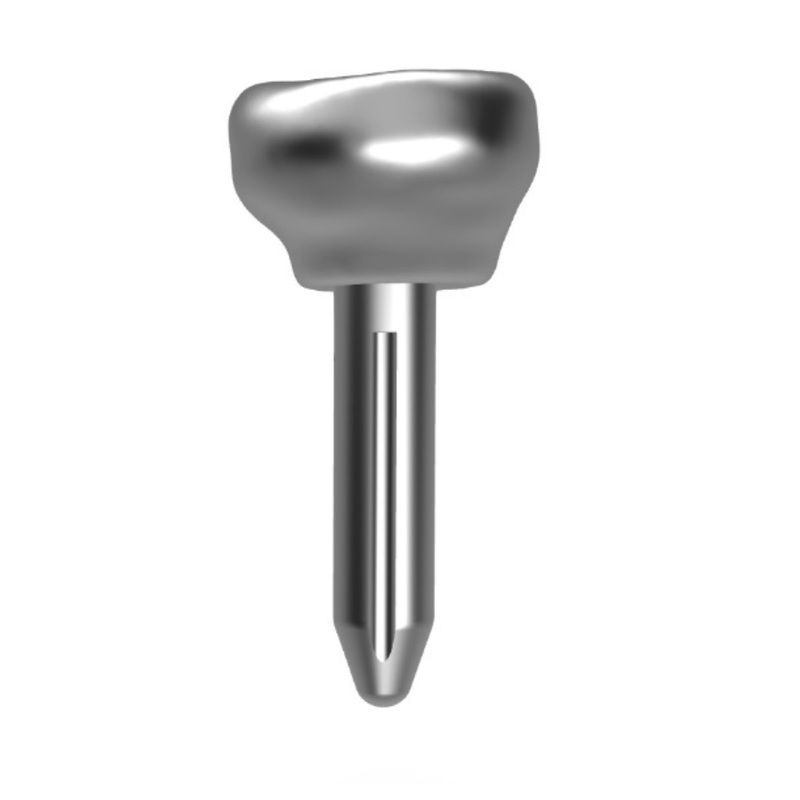 The implant is intended to be used with bone cement. 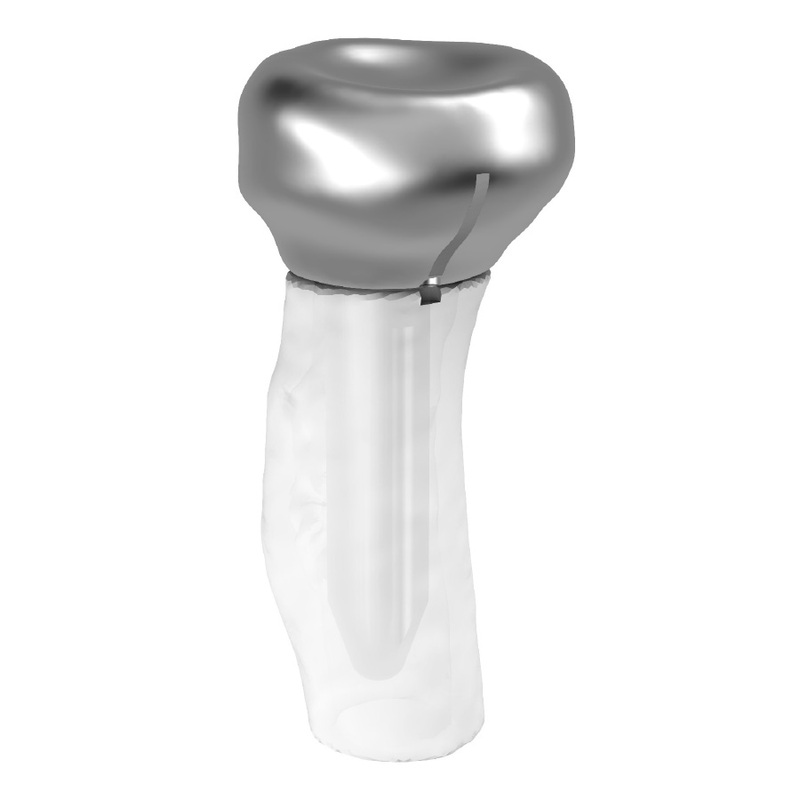 Each radial head prosthesis is designed individually using advanced 3D image processing techniques to allow precise replacement of radial head fractures, promoting the best clinical outcome. To enhance overall articulation, the head size could be designed for cartilage compensation.